New York Times - "Future and Young Thug, Atlanta’s Hip-Hop Workaholics, Go Their Own Ways"
"In general, though, Future is a reducer, reliant on a few proven approaches. Young Thug, however, is an experimenter, someone who’ll try anything once. Future’s vocals tend toward sleepy groans; Young Thug’s are strangled cackles. Future opts for production both booming and slurry. Young Thug tends toward the striated and whimsical. Young Thug has described Future as an influence, but the two have become stylistic polar opposites. 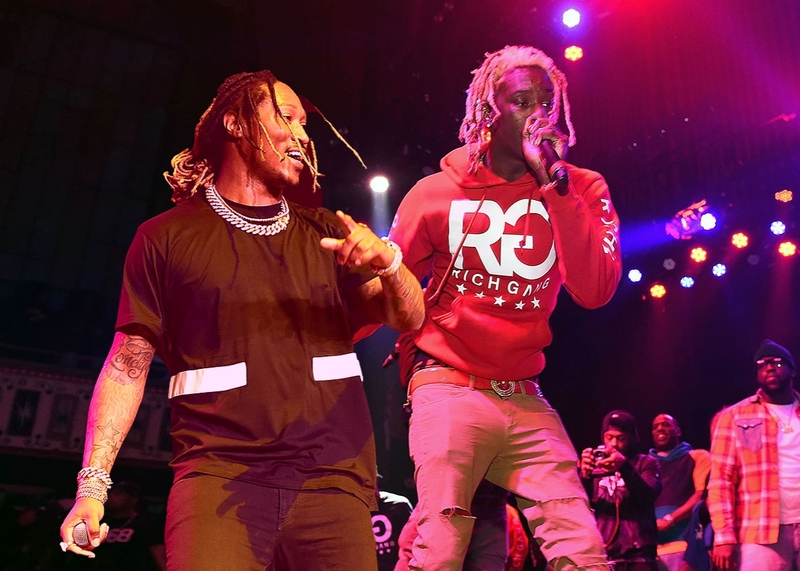 Which is why it was perplexing when, a couple of weeks ago, Young Thug and Future — both of whom release music at a furious clip — began quibbling on Twitter soon after Future announced the release of “EVOL.” It was a reignition of an earlier squabble, where Young Thug called Future the Tito Jackson to his Michael. This is, of course, an unfair comparison, and inaccurate, too. If anything, Future is Michael and Young Thug is, perhaps, Sun Ra. Future has become extremely refined in his misery. A few weeks earlier, he released a more effective mixtape, “Purple Reign,” that served as a clear extension of his brilliant 2015 run. Perhaps the most striking facet of Future’s reign is that it hasn’t resulted in any gargantuan mainstream hits, though some songs he’s recorded with Drake have come close — even though he is a style vanguard, he remains something of a cult figure. Young Thug is more obscure than Future, but with his more sui generis approach, he seems like a pop idol in the making."